All items must be in working/good order (unless stated in the description). E-mail Sally (e-mail address can be taken from the green sock site) with a picture (if available) and description. Use your own currency - conversions can be made when a sale is sorted out. Indicate whether you will accept a trade instead of payment in your description. Potential buyers contact seller to discuss postage prices and also who will pay the postage. Please do not put e-mails in the description - this will only be open to Green Sockees, so you will be able to get the e-mail addresses from the site/directory. The item should not be sent before payment is received, unless agreed between buyer and seller. Please let me know when sales have occurred - so I can remove them. THIS ITEM IS NOT FOR SALE!!!!!!! 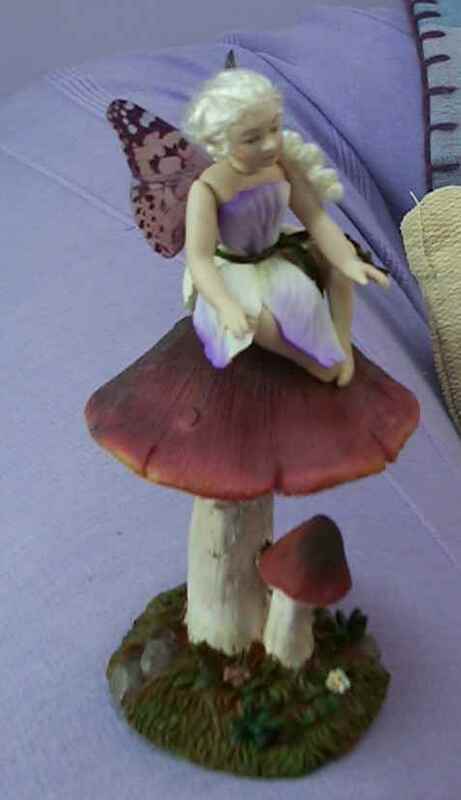 This Fairy is handmade, using a kit and silk flowers. She is unbroken, and comes with her toadstool (shop bought). I will accept trades for this item upto £10.00 in value. For sale for £10.00 plus postage. There are six 'bar'? 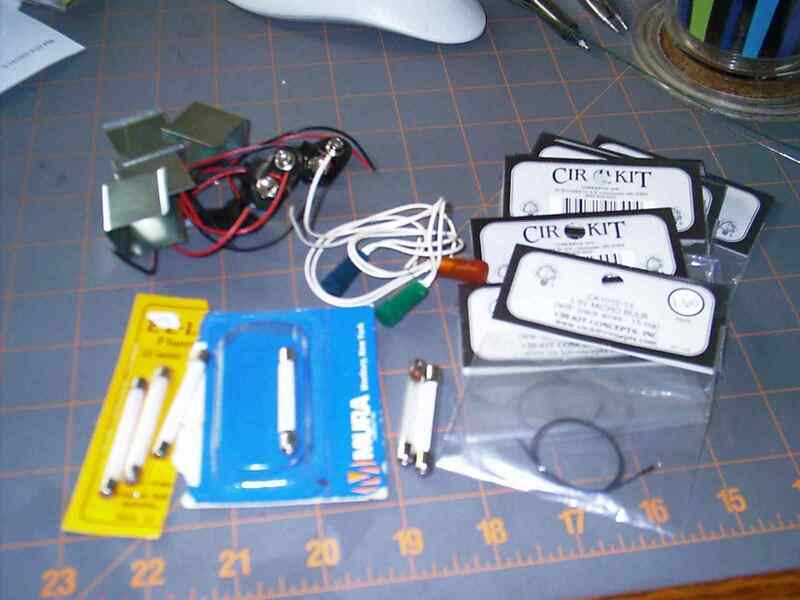 bulbs (I don't know if these work, as I don't as a fixture for them), eight (8) 1.5 v. micro bulbs new in pkg, 3 bulbs with colored caps on them (orange, blue and green), and 4 9v battery holder with 4 9v battery connectors. I will sell all for $5 or a comparable swap. Contact Lynne NoE if interested.